Vector has both magnitude and a direction. In graphics, a vector is represented by an arrow, defining the direction, and the length of the arrow defines the vector's magnitude. Vectors allow the user to click and drag the mouse pointer from one end and direction to another. Therefore, Vectors project is like a vehicle that carries other projects from their designers and creators and publishes them through Vectors electronic journal online. Vectors is an electronic journal which brings together other related technological/multimedia projects designed by different technologists and designers showing how technology is shaping and transforming the social constructs and cultural relations of the contemporary society. Vector publications cut across issues in several disciplines including socio-cultural, technological, globalization, mobility, power, etc. In a nutshell, Vectors is a project comprising other projects that illustrate the influence of various technological designs on culture. Vectors is now in its third volume, issue 1 (vol. 3, issue 1), and is published twice a year. The current volume is entitled ‘Difference’. The publication is under the auspices of School of Cinema Television, University of South California, United States. The current issue is comprised of 7 different projects, namely: Killer Entertainments; The RED Project; Nation on the Move; Deliberative Democracy and Difference; Programmed Visions; ThoughtMesh; and Blue Velvet. Each of these projects was designed with related technologies by different designers. As an international academic and electronic journal, it brings together designers, web authors, visionary scholars, and technologists, to look into how technology is shaping, transforming, and configuring our social and cultural values and relations. Therefore, its audience and stakeholders includes those in the academic studies and research, students, lecturers, IT businesses, designers, technologists, etc. The Vectors: Journal of Culture and Technology in a Dynamic Vernacular was launched in 2005 with its first volume and issue termed ‘Evidence’, with technologies including, Investigating Imaginary Evidence; Jenny Holzer at the Neue Nationalgalerie; Narrating Bits: Encounters between Humans and Intelligent Machines; Stolen Time Archive; The Menorah of Fang Bang Lu; The Unmaking of Markets: A Composite Visual History; Virtual Vaudeville. 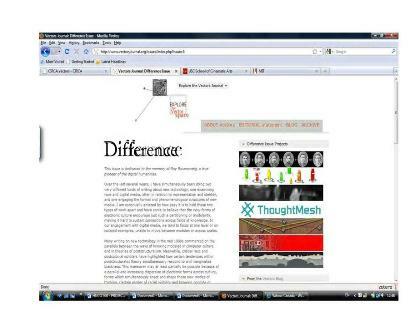 The development of Vectors electronic journal follows collaboration among several people and institutions. The site design was supported by the creative directors - Raegan Kelly and Erik Loyer. It was however built by Erik Loyer, Raegan Kelly, and Craig Dietrich with the support of other scholars and designers such as Chris Wittenberg, Chris Hanson, Kevin Tanaka, Steve Fong, and Willy Paredes. Together, they solved creative and information challenges, and created tools for online art & humanities production. The journal received support from University of South California’s Institute for Multimedia Literacy as well as the Annenberg Center for Communication. The editor of the journal is Tara McPherson, an Associate Professor of Gender Studies and Critical Studies. She teaches courses in television, new media, and popular culture in USC’s School of Cinematic Arts. Before joining University of South California, she lectured at Massachusetts Institute of Technology, (MIT). Vectors is run on Dynamic Backend Generator (DBG). DBG is a database administrative tool for editing data and information. The program shows spreadsheets of MySQL tables. 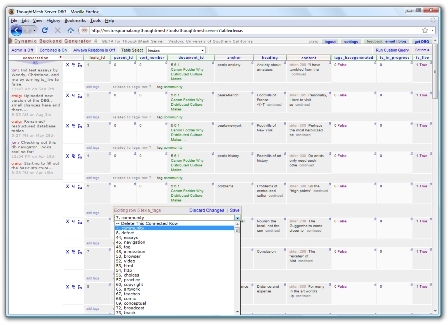 Other related tables are connected to the spreadsheet with popup boxes and pull down menus. Relational data may be managed in a single spreadsheet rather than moving around tables or creating a custom application. According to Vectors blog, the DBG is a dynamically-generated middleware interface to a database, designed to help academic users conceptualize data and database structures in relation to the nature of their content and a variety of possible front-end display. An authoring tool conceived according to this principle will aid the scholar in translating their conceptual formations into database architecture. The scholar will be queried via the tool about the basic intellectual components of their research, be they specific works or authors, schools of thought, metaphors, citations, or other concepts. Each one of these is then created as its own category of information, initially independent of the others. The DBG software is controlled by PHP, HTML, and Ajax technologies. 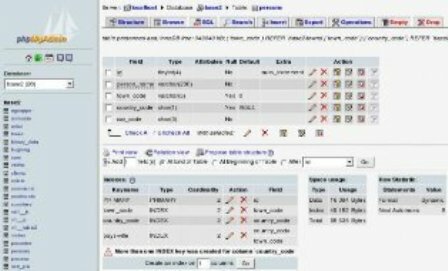 Based on a set of relational table matching rules, the software generates a formatted, visual representation of a MySQL database and an interactive, dynamically-generated tool for entering and managing rich database content. The DBG is assumed to be a complement to and an extension of the already existing PHPMyAdmin (PMA) software. PMA is an open-sourced MySQL management tool, which allows a user to administer MySQL database using the web browser. The DBG considerably changed and increased the speed of development time of Vectors’ projects, and allowed Vectors’ fellows and developers to re-imagine and recreate their scholarship in new expressive modes by using the tool as means for idea management. In another way round, backend software architectures can be very useful for content-design or theory-making tool if properly managed and accessed. Vectors acts as a robust example of scholarship in the digital age. Seely (2005) indicated that new learning environment creates the ability to communicate using image, text, sound, movement, sequence and interactivity in combination. The Vectors project is therefore a new environment suitable for learning especially in technical education since it brings together not only the designers, creators, and developers of the project, but also other stakeholders who might benefit from the technology. As collector and publisher of different multimedia technologies, Vectors tries to illustrate the intersection between socio-cultural, political, and technological values where current awareness reports on these values are made public twice a year. The technology is also significant because it links the present socio-cultural and technological issues to the past given that it discusses how past events shaped the present day, and that it houses back issues of its publications in the archive. It is also important to state that the project is a knowledge bank of different technological and cultural values. Each publication of the projects brings into focus different new findings in technology (multimedia technology) and how it relates to cultural, political, and democratic issues. The Vectors project is prominent because it allows for the database authoring tool to function as an intellectual sketch pad, whereby scholars can easily experiment with various ways of organizing their ideas until arriving at a structure that could serve as the foundation for future work. According to Wikipedia, a sketchpad helped in changing the way people interact with computers. Sketchpad is considered to be the ancestor of modern computer-aided drafting (CAD) programs as well as a major breakthrough in the development of computer graphics in general. Nation on the Move project is about the link between art, craft, and commodity. It is an interrogation of politics of demand and desire that derive from the modern notions and imaginaries of home and homeland as well as consumer pleasures arising from the convenience of a repetitious consumer activity. This project involves a multidimensional, multi-locational, and polyvocal approach by way of digital technologies. In “Nation on the move” project, the unevenness of time such as - time of production, advertisement, online auctions, and consumption; the mingling of the old, the new, and the emergent; spatial proximity or distance; and the relation of non-value to use value and exchange value in what the author called a “scopic economy” that subsidizes the flow of representations for the history of material objects by producing audiences and spectators with a scattered and disconnected sense of attention, are recognized. 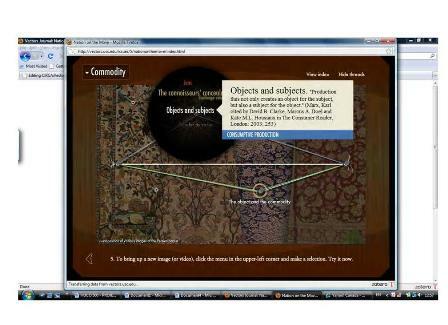 The Persian carpets as used in the project illustrates the literal objects of textual analysis and also as metaphors for how objects of transnational exchange are produced, marketed and consumed. They indicate multiple meanings and provide insight to complex circuits of labour, ideology and imagination. The project interface for the project is deceptively simple, mobilizing a playful metaphor for the weaving process itself, as users are invited to make connections between nodes of information, artefacts and analysis by stretching a string across the surface of an image. The analysis of the project by created by Moallem is dense with allusion and a multiplicity of voices that create a rich tapestry of perspectives, analytical paradigms and potential axes of investigation. The flying carpet of the western imagination provides advantage point for people to re-invent themselves as inhabitants of the world beyond history. There are 25 images with information about the main functions of the particular image. 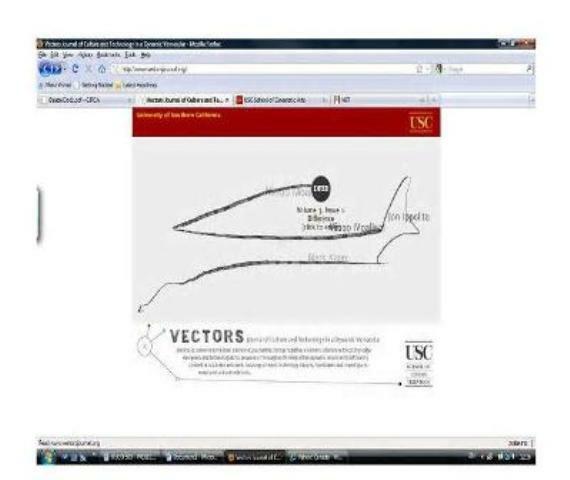 Flash 9 Plug-In - Browser application providing fluid vector-based graphics and interface. This page was last modified on 14 December 2010, at 19:09. This page has been accessed 18,144 times.